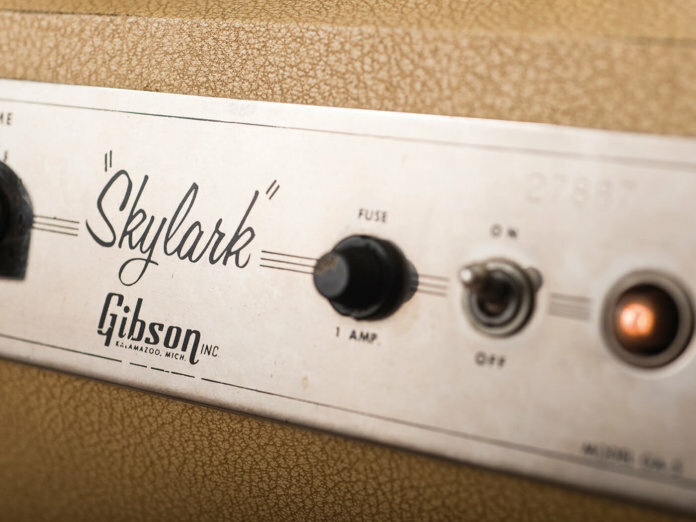 Because the serial numbers are less than reliable, pinpointing an exact manufacturing date for Gibson amps is never more than an educated guess. However, we do have a rough timeline, because pre-1958 GA-5s had a ‘TV’ front and a 6SJ7 pentode for V1. 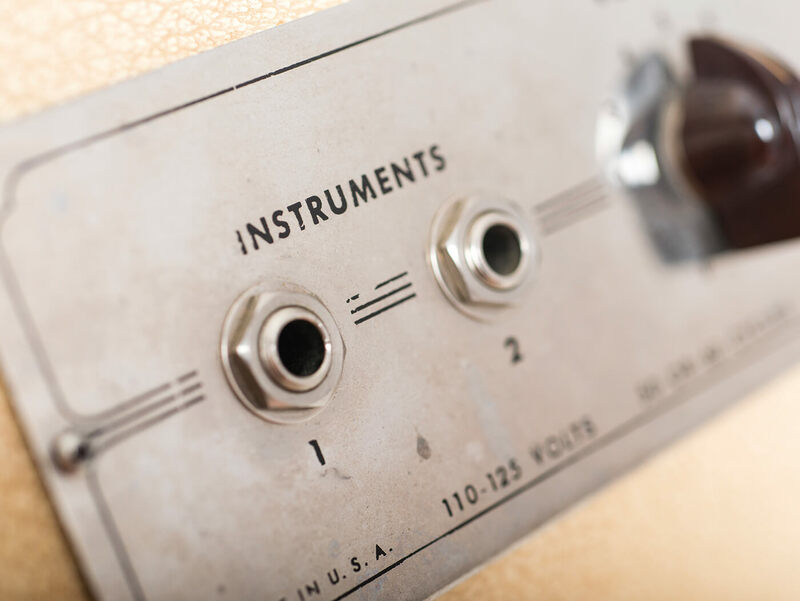 The pentode was superseded around 1957 with a ‘narrow panel’ cabinet redesign and in 1958, a 12AX7 started to be used in position one. 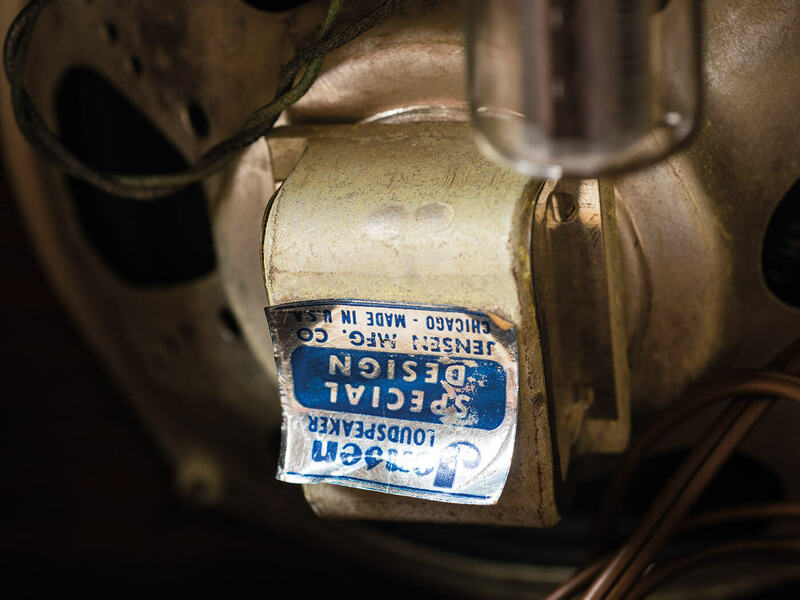 Post-1963 models acquired a pair of 6AQ7 power valves, delivering 10 watts of output. The inputs are different too, because the GA-5’s grid resistors are 47K rather than 68K and unlike the Champ, there’s no 1M resistor to ground. 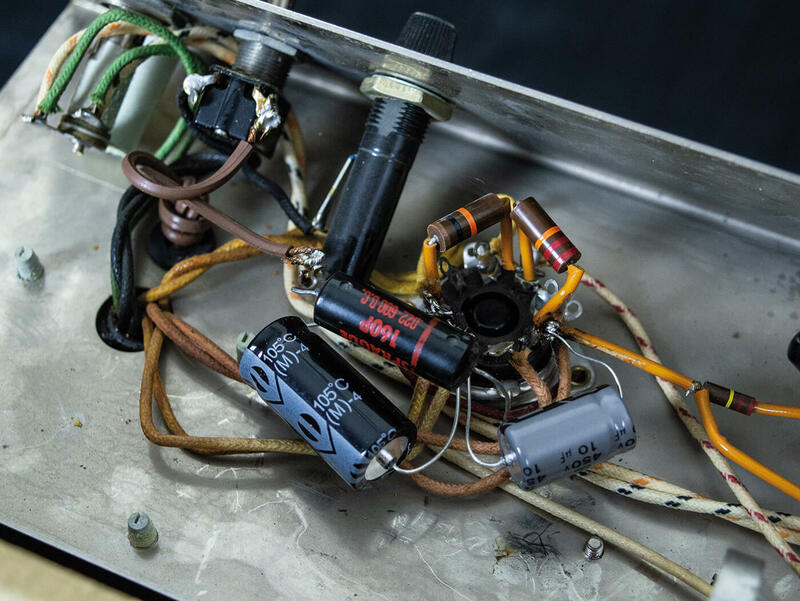 Both amps have a negative feedback loop connected to the cathode of the phase-splitter side of the 12AX7, but with a 47K resistor in the loop rather than 22K, the GA-5’s negative feedback is slightly reduced. Clearly, these weren’t really gigging amps, so rarely venturing beyond the bedroom or suburban garage has ensured that plenty of GA-5s, Champs and so forth have survived in good condition. This one is in great shape and still has its original tan leather handle with brass fixings. The power light is missing a jewel, but a modern replacement would be cheap, easy to source and would appear identical. Unlike a 5F1 Champ, the GA-5 features true point-to-point wiring – and it was very nicely done. The original 3-in-1 filter capacitor has been replaced with modern electrolytics. The work has been performed to a professional standard, but the original capacitor is included with the amplifier. Incidentally, we tested it and all three stages are indeed toast. 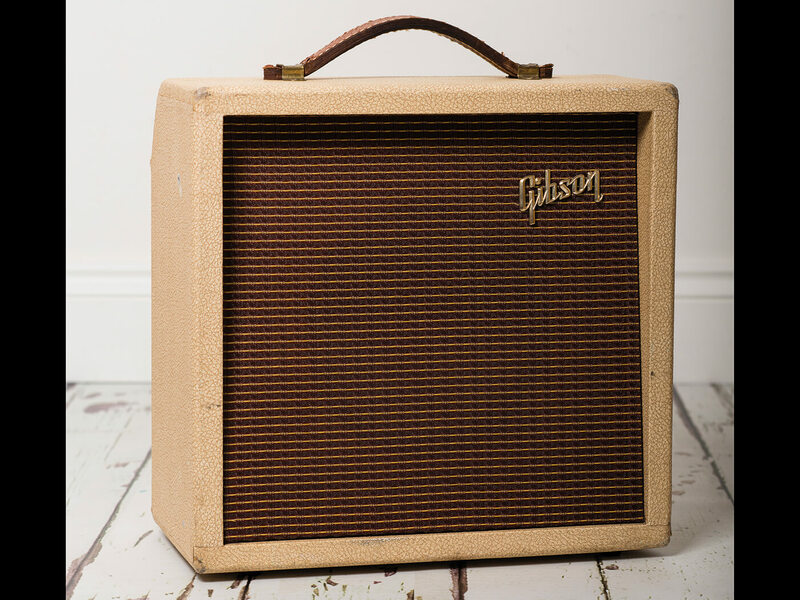 Maybe a future owner could find a tech crazy enough to restuff the cardboard tube and restore the original look – although this wouldn’t make the amp sound any different. While they’re at it, they could replace the original mains wiring with modern wire in order to ground the amp properly. This amp’s originality is charming, but safety is more important. 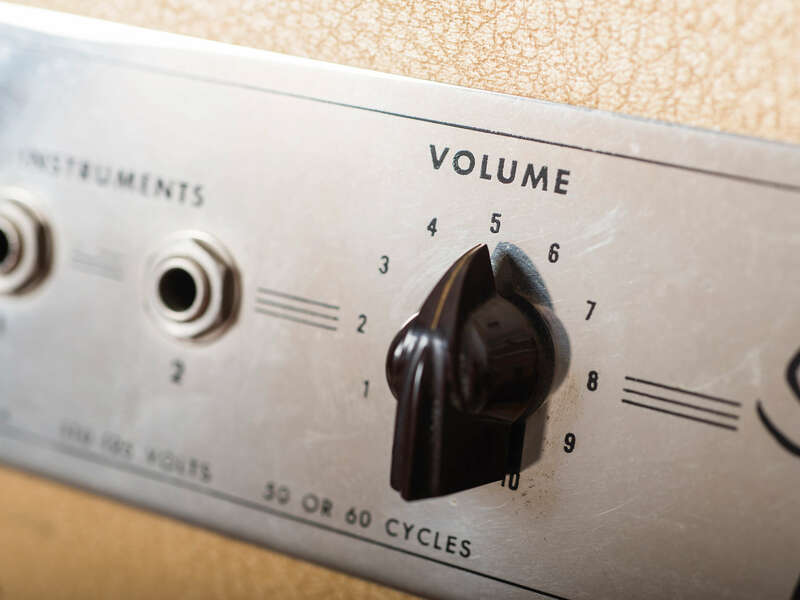 One effective way to use this amp is to turn it up until you’re getting sufficient brightness, and then turn down the volume control on your guitar. 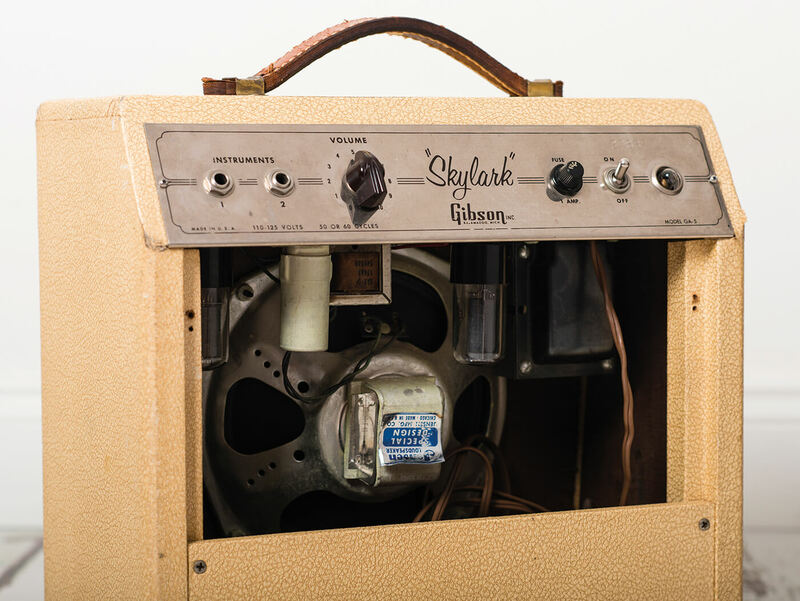 If you have good P-90s or PAF replicas wired 50s style, or a treble-bleed capacitor on your volume control, then the brightness is maintained, the GA-5 cleans up really well and you can explore a wide range of clean and overdriven tones.